I bet you're thinking "I've definitely seen that coat before...?" This is my LFW jacket guys. I bring this beauty out every season pretty much. It's never going out of style in my eyes. 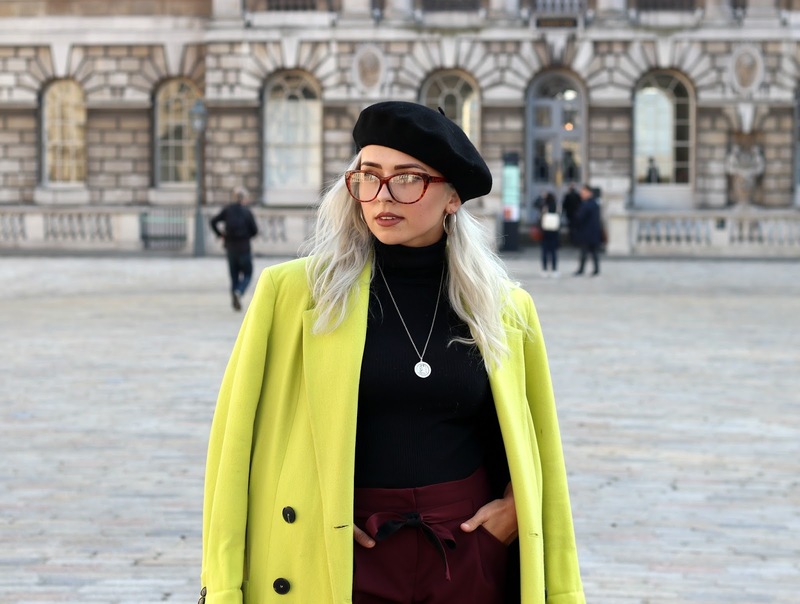 I'm pretty sure I wore this jacket to my first ever fashion week in 2013, where I was just hanging around Somerset House to gawp at the street style. Gah. 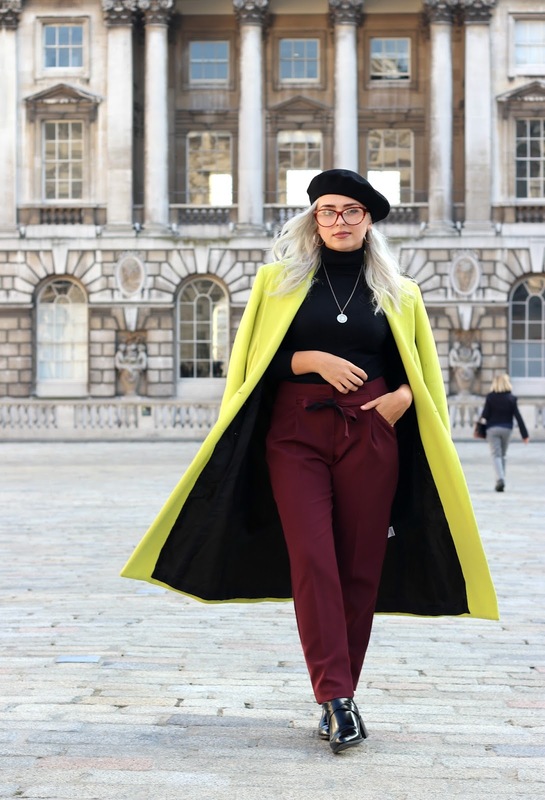 It feels like de-ja-vu seeing as these outfit shots were taken in Somerset House. 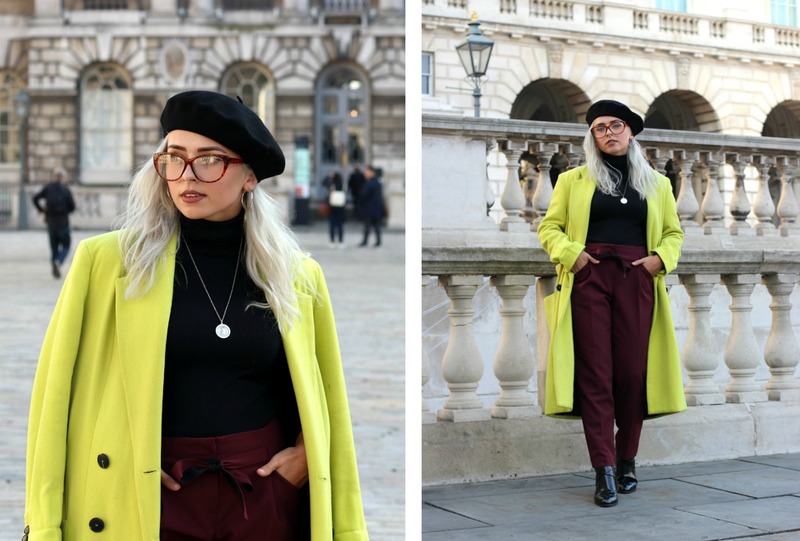 These burgundy 'drawn in/paper bag' style trousers are a favourite of mine recently, they're from Primark would you believe it? I always find that Primark trousers fit me really well in terms of length. They had quite a few different colours to choose from too- I was torn between the baby pink & burgundy! Sadly this coat is no longer available. I bought it in 2013. My first ever designer purchase! I'll tell you guys the story again... since I love telling this story! 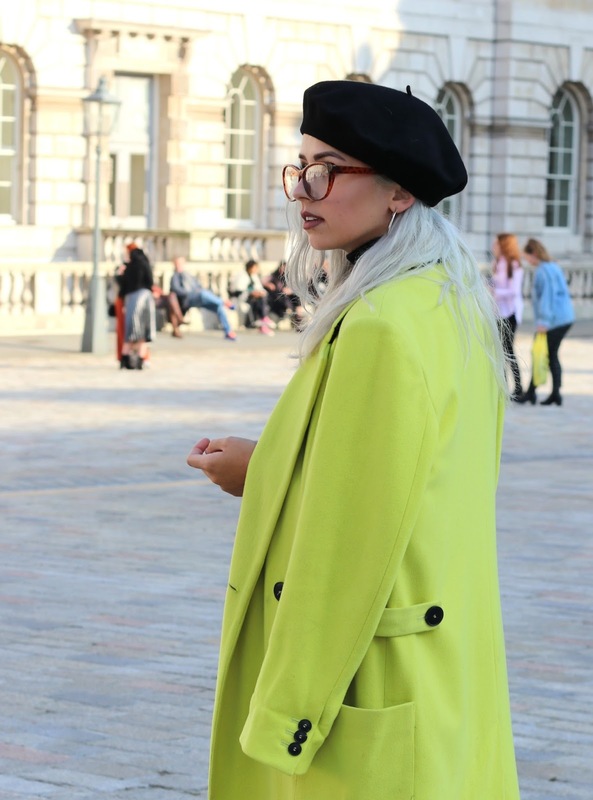 This coat by Hearts & Hands was originally £220... I managed to scoop it in the Urban Outfitters sale for only £24! TWENTY FOUR. Eeeeek! I was over the moon. My UO staff discount did help... but yeah. By far my favourite sale pick up EVER! Public Desire sorted me out with these fabulous new black boots. They have a beautiful square block heel which I'm obsessed with! 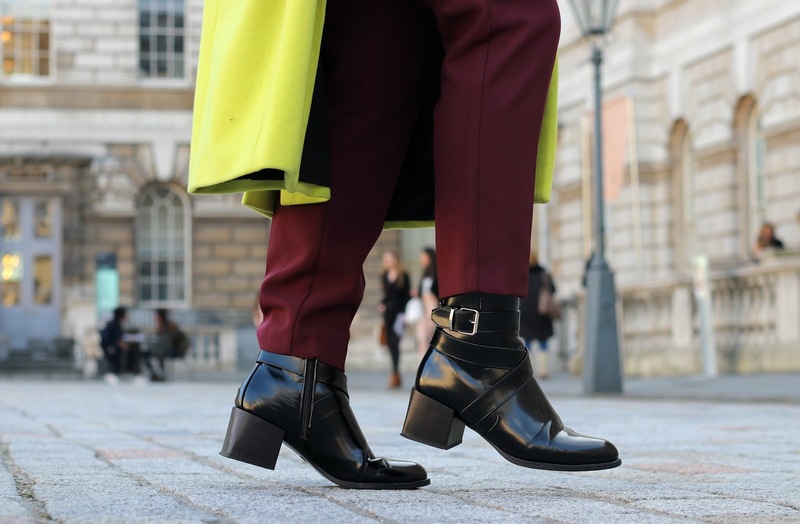 as well as a pointed toe and a buckled side detail. For £29.99 these are an absolute steal. They're comfortable and super stylish. I feel as if they look 5x the price they're marked up for, AND they go with almost everything... what's not to like? Love your coat!! So chic. Aww I love the fact that you have a lucky coat for LFWs :) It is timeless, for sure. 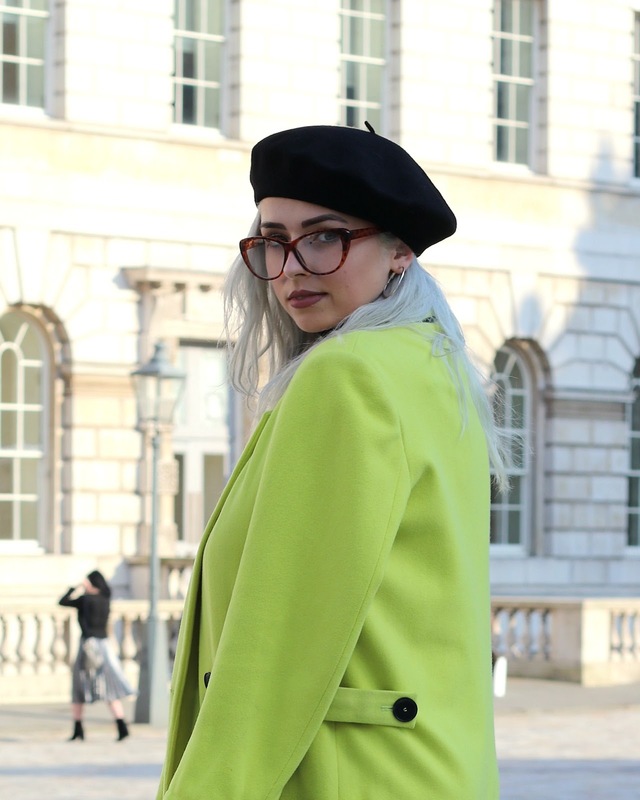 As a french, I've never worn a beret (we don't really wear them) but it is growing on me, I'm not as much inspired by french style that I am by english style (which is, for me, the best ! 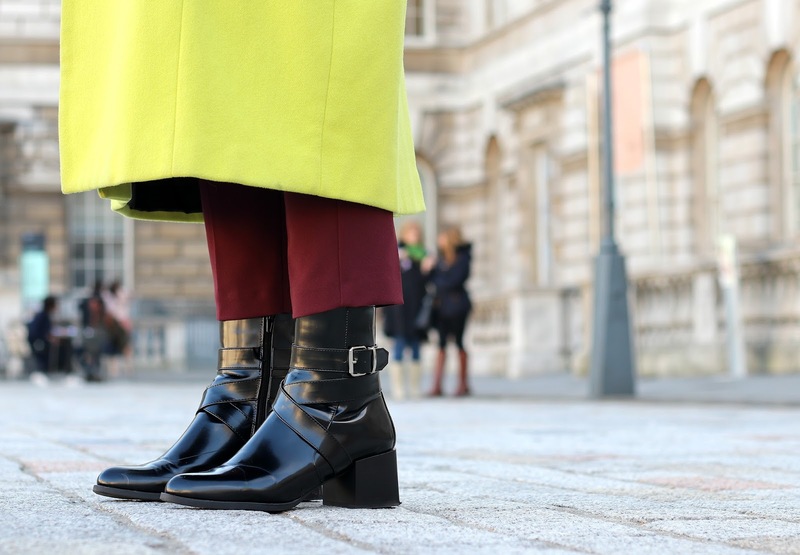 ), I just love how you english people are so open minded, in France, when you wear something crazy or even bold colours, people will keep staring at you and that is something that is not cool... Well, it's a general statement but still.